In any workplace setting, there are dress code expectations that employees need to understand and follow. For personal trainers who are in the business of making people look and feel good, appearance simply cannot be overlooked. It could literally make a huge impact on your employment status or future job prospects. As one of the leading training providers in Australia, we have formed a strong partnership with the 2XU clothing brand. This means all of our students receive 2XU training tops as well as their choice of compression leggings or shorts. In addition to the proven benefits of wearing compression clothing such as reduced muscle damage and injury, our students look like professional personal trainers and can work in a gym with confidence. Having the right team gear is important. There is a common saying that you only have a few seconds to make a good impression on someone – whether professional or personal. It is important to remember that many clients would have thought long and hard before engaging with a personal trainer – particularly if they were unsure as to how they could help. As such, turning up wearing the wrong clothes could put them off reaching for and achieving their health goals. Showcasing yourself in quality fitness apparel doesn't just help with first impressions, it will allow you to participate in gym activities with your client. This is certainly one of the reasons why we work with 2XU. During exercise, these garments provide great muscle stability – improving performance and agility. This allows our personal trainers to extend themselves physically on various fitness activities and show clients how to do it properly and safely. As a quality personal trainer, it is expected that you take a leading role with your clients and this starts with showing how it is done. Nothing beats a walking, talking billboard showcasing apparel "in action". There is a reason retail shop assistants are encouraged to wear clothing from the store in which they are working – and it's because nothing beats a walking, talking billboard showcasing apparel "in action". If potential clients see you either wearing branded clothing or high performance gear, there is a chance that they will remember you or even seek to work with you in the future. Your appearance is going to come under scrutiny and potential clients will take how you look as an indication of your level of competence. Putting your best professional self forward will only better showcase what you can offer. 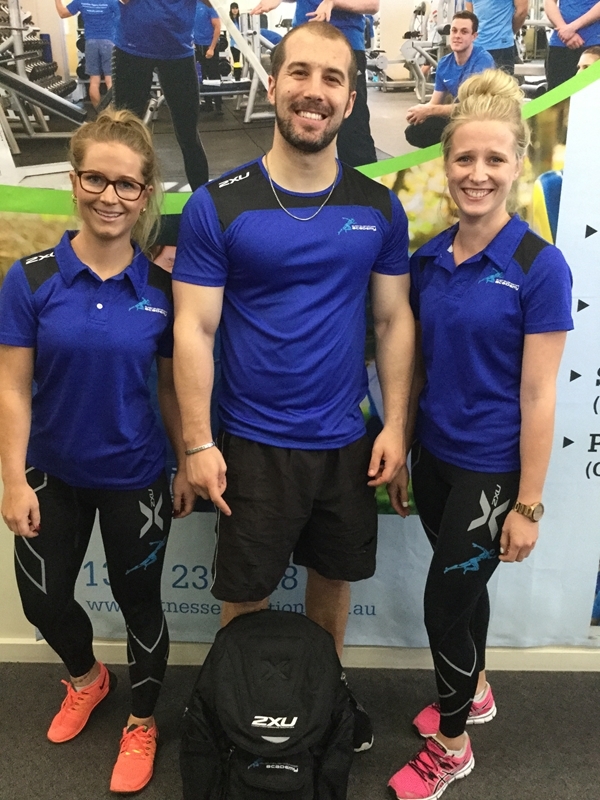 At Australian Fitness Academy, we take great pride in our students and the way they operate during work placement. If you would like to learn more about our Certificate III & IV in Fitness, feel free to get in touch with our friendly team today.